The comparison of actual performance to the desired output is what gap analysis is all about. 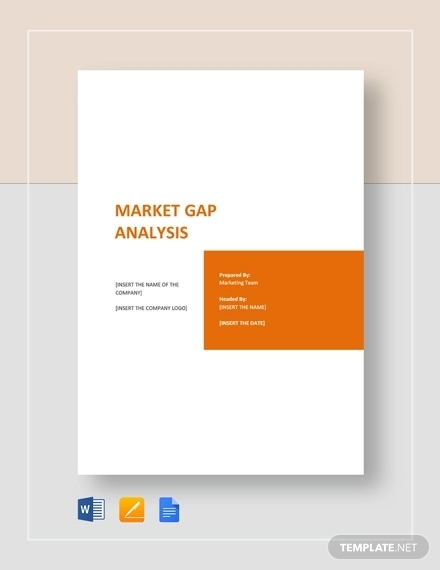 Just like a market analysis, gap analysis helps both small business and big corporations to identify the potential that they still have to ensure bigger returns and better operations. 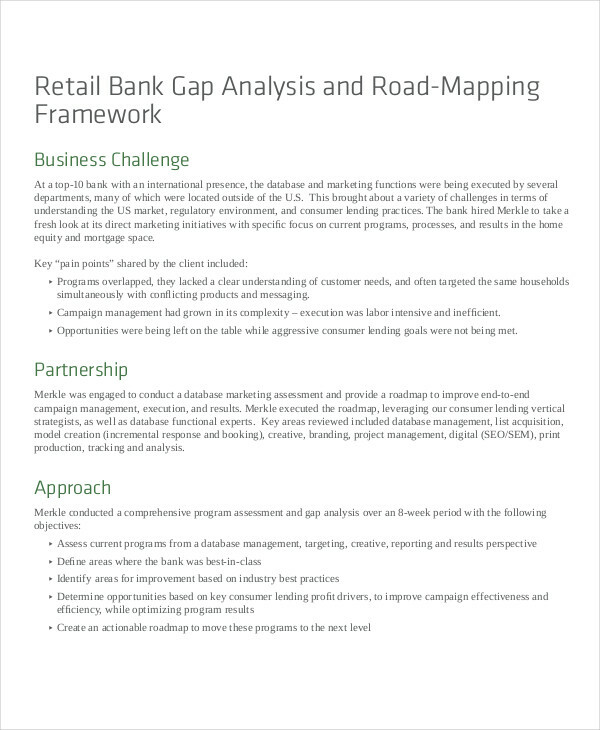 Gap analysis is not just for corporate processes. 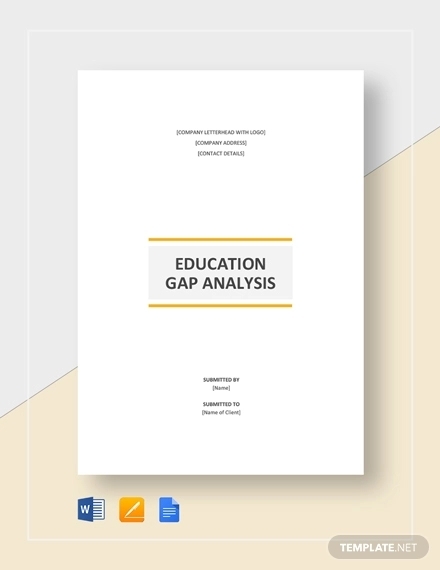 There are also other kinds of gap analysis that are used in circumstances involving skills development, training improvement, and security betterment. 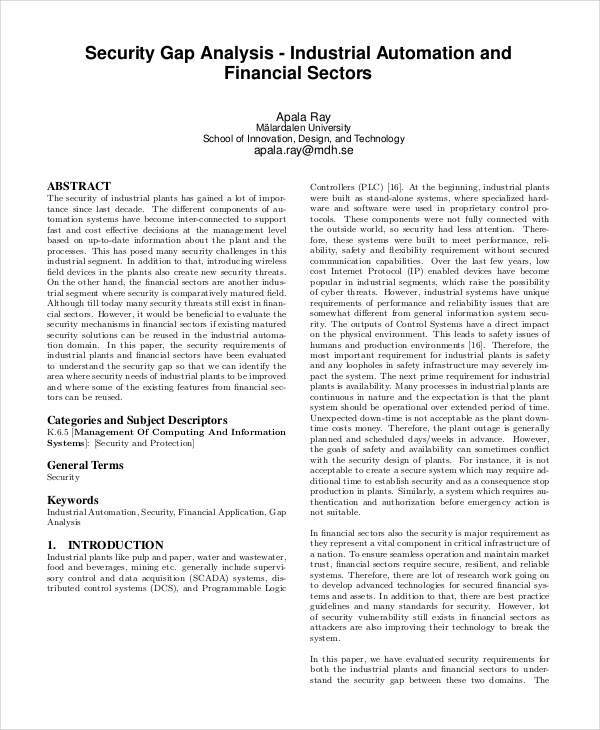 Gap analysis commonly focuses on the organization of the business, the direction where the business would like to go, the processes of the business, and the information technology used to link corporate movements. 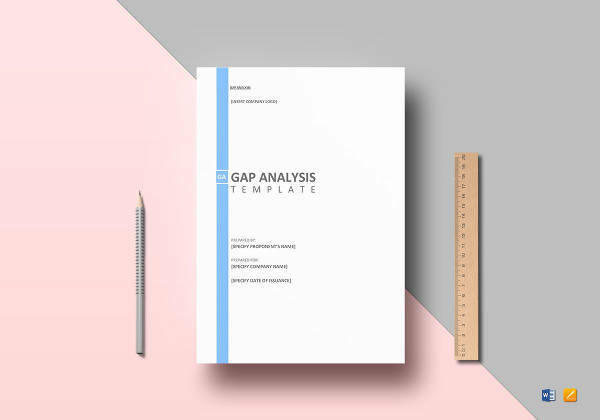 Browse through the selection of downloadable gap analysis examples in this post so you can have an idea on how to develop an outstanding gap analysis for your business or for whatever intentions you have in creating one. You may also see statement analysis examples & samples. 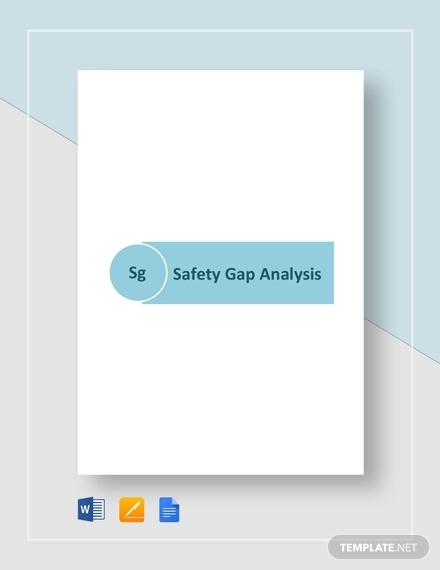 Aside from market analysis, workforce analysis, and safety analysis examples, businesses also need to give importance on gap analysis. 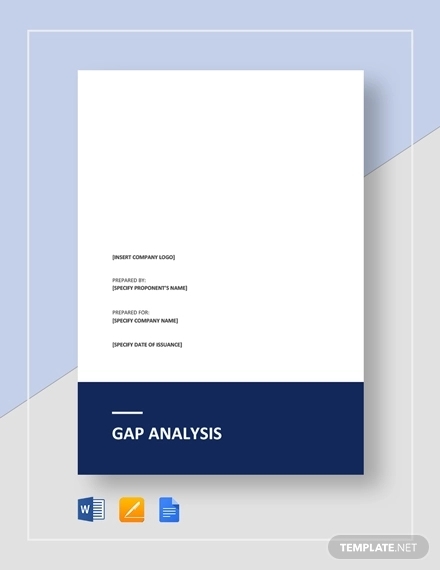 If you do not have any idea on why it is necessary for businesses to have gap analysis, listed below are some of the things that can help you further understand what a gap analysis is. 1. Gap analysis helps companies and other entities to ensure that they are aware of the gaps between the optimization and usage of resources from the level of allocation that the business currently experiences. This means that gap analysis identifies the worth that is given back to the business from the integration and usage of its specific inputs. You may also like critical analysis examples & samples. 2. 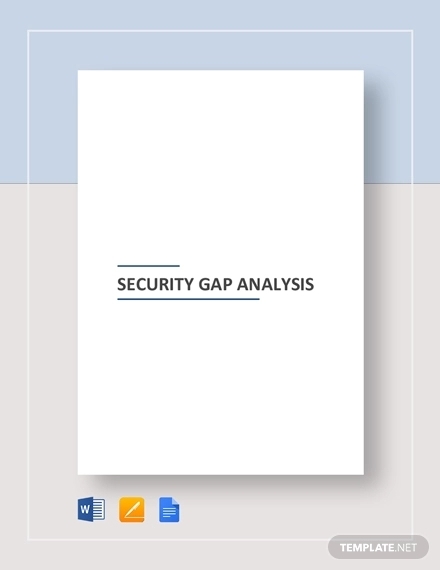 Gap analysis determines the requirements of the business and whether these requirements are supplied or not. Hence, gap analysis can be based on the results of bench marking and can be derived from different kinds of business assessment. 3. 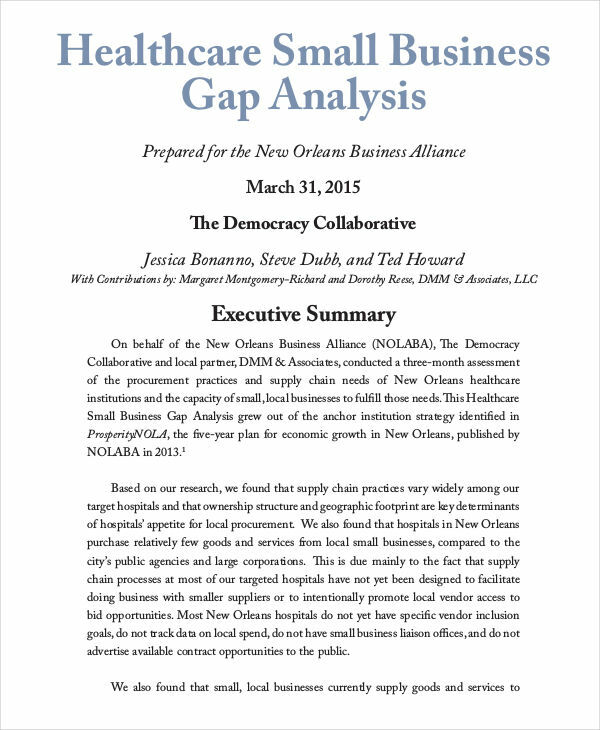 Gap analysis showcases the areas where the business can still improve. Through the comparison of the current condition of the business to its potential future operations, the management can identify the loopholes of the company where corrective actions and measures can be injected. 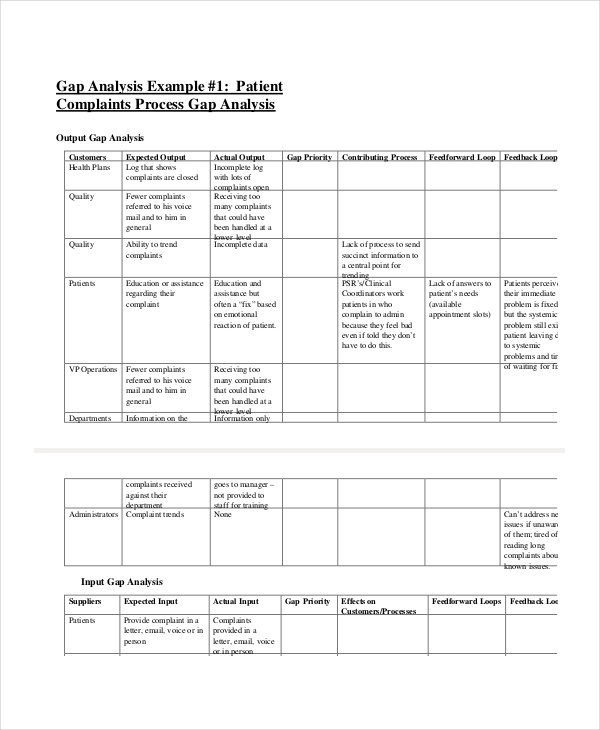 You may also check out process analysis examples & samples. 1. 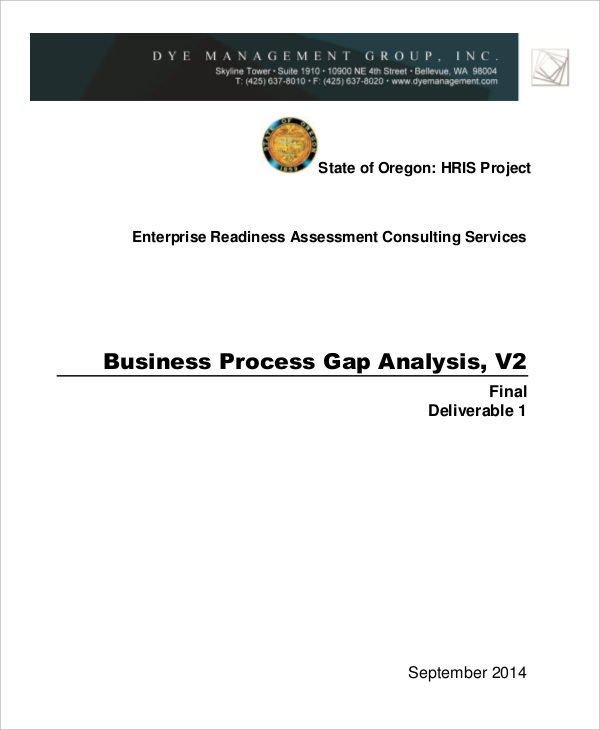 With gap analysis, you can have a firsthand study of the different states of your business. 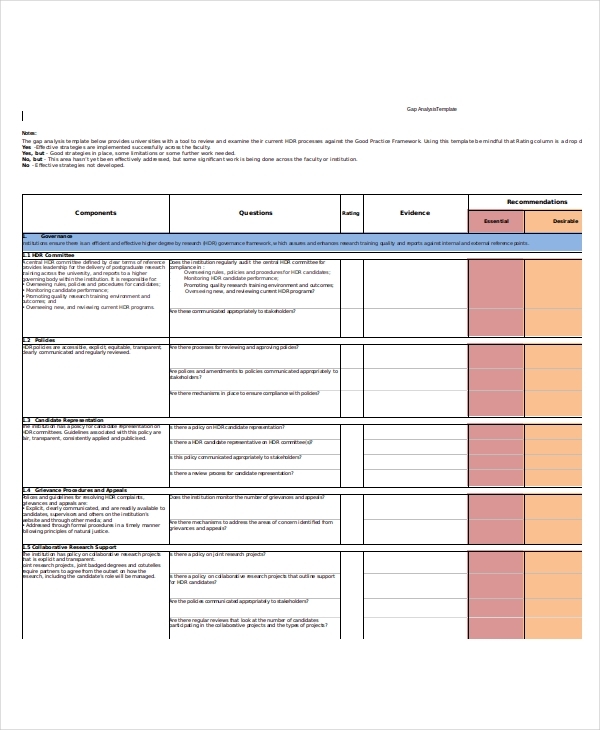 This can help you identify the standards that you need to meet and the ways on how these standards can be achieved. An overall business development can be attained if gap analysis is taken seriously. You might be interested in operational analysis examples & samples. 2. Through gap analysis, the company can give more importance to the expectations of its stakeholders. These stakeholders include the customers, the investors, and the potential market that can be tapped by the business. The improvement of the company through the help of gap analysis can also develop the experiences of the stakeholders and their perception about the company and the management. 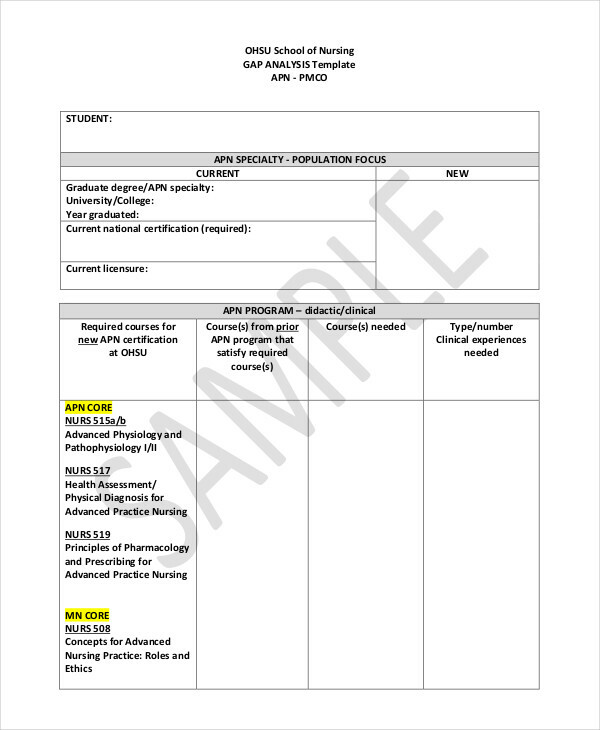 You may also see requirements analysis examples & samples. 3. Creating a gap analysis can make the business be more aware of the standards of its services and offer. Communication lines can be more developed if the company knows how to properly address issues and concerns. 1. The first thing that you need to do is to identify the current processes followed by the business. The condition of the workforce, business environment, and other factors that contribute to the operations must also be evaluated. You may also see investment analysis examples & samples. 2. Once you have already identified the current condition of the company, the next thing to do is to have an idea about the kind of output or outcome that the business produces with its current state. This can help you evaluate whether the business is doing enough, or if it is functioning below its potential. You may also like sales analysis examples & samples. 4. If you already have the record of your business’s current condition as well as the state where you would like to bring the operations, you have to document the gap between the two. Identify and record the kind of gaps that you have seen so you can have actual and firsthand references about the matter. 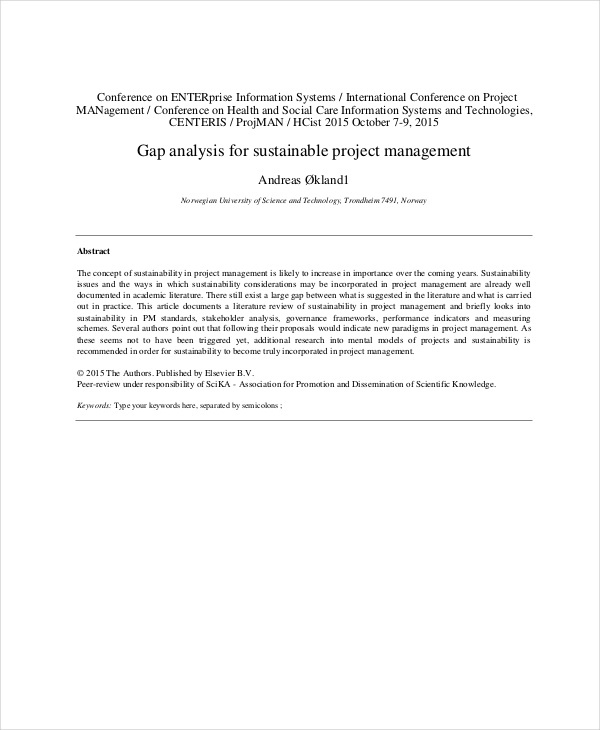 You may also check out project analysis examples. 5. Once the initial details are already put together, it is now time to brainstorm about the processes that your business can immerse into so that your set goals and objectives can be achieved. If you want your desired output to be realized, you have to come up with strategies and tactics that are fit for your business’s capabilities, resources, and potential. 6. Stick with the specific ways and means on how you think your business can fill or bridge the gap. Again, it is important for you to know what you are working with. Identify whether your action of choice can be effectively executed by the workforce. You might be interested in company analysis examples & samples. 7. The last thing that you need to do is to prioritize the necessary requirements that will allow you to fully bridge the gap. There are different kinds of analysis examples in Excel or even free analysis examples that can help you identify whether the gap analysis that you have created is effective or not. You may also see literary analysis examples & samples. 1.There should be a description of the states of the business in varying time periods. If you truly want to bridge the gap from the present up to the ideal state of the company, then you should ensure that you are specifically aware of what you need to work with and work for. You may also see analysis essay examples & samples. First, there must be an identification of the current condition or situation of the business. Hence, both strengths and gray areas must be discussed. Second, there should be a specification of the future state desired by the management and the entire company. 2. The description of the gap from the two states mentioned above must also be properly defined. 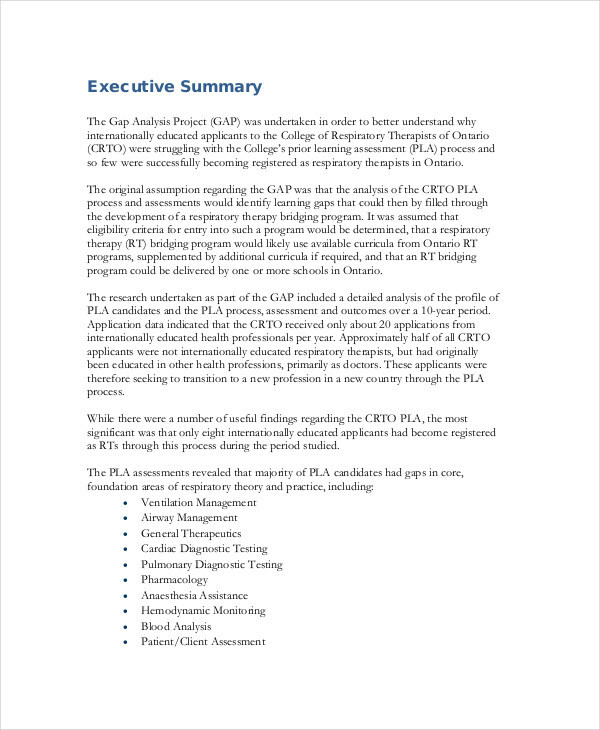 Gap identification and description are essential to be prioritized as these can guide the management about the call to actions that they need to implement. More so, knowing the kind of gap that needs to be looked into can make it more efficient and easier for stakeholders to know how their responsibilities and obligations can affect the betterment of the business. 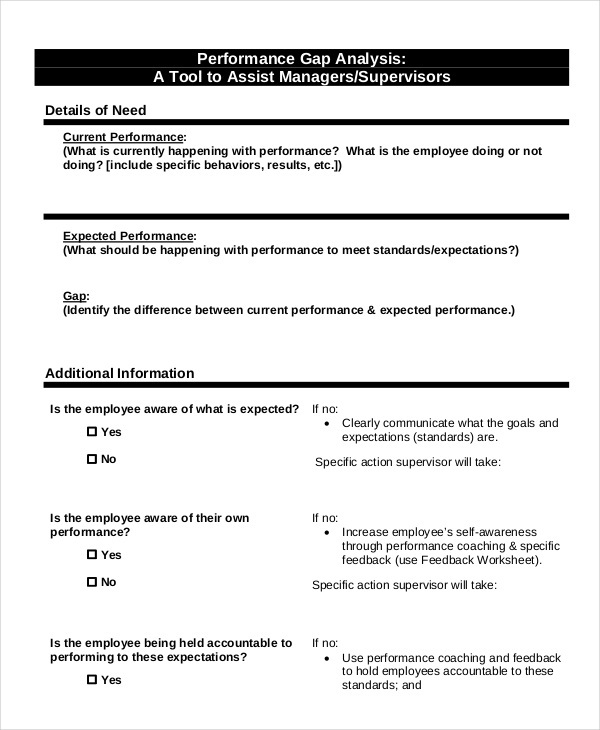 You may also like organizational analysis examples. 3. Lastly, the list of remedies, proposals, and call to actions must also be listed. 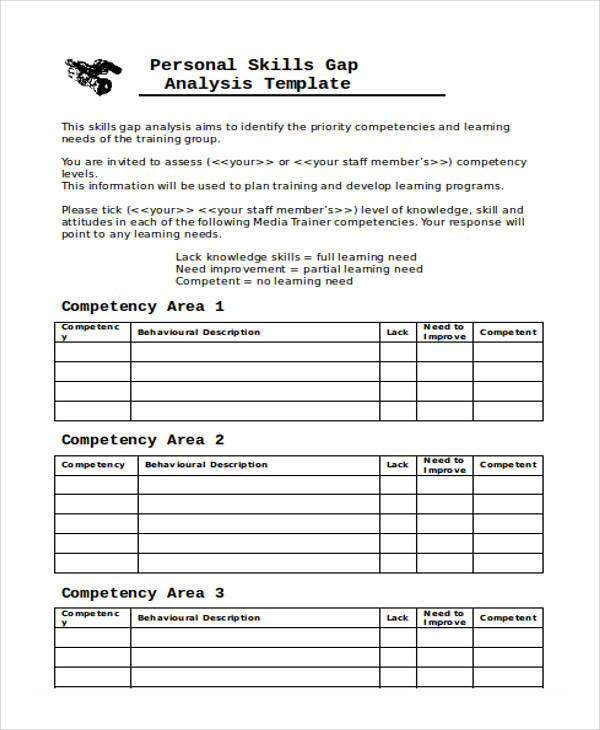 In most cases, management analysis examples are needed to be created as well so that the necessary responsibilities can be designated to the right people. 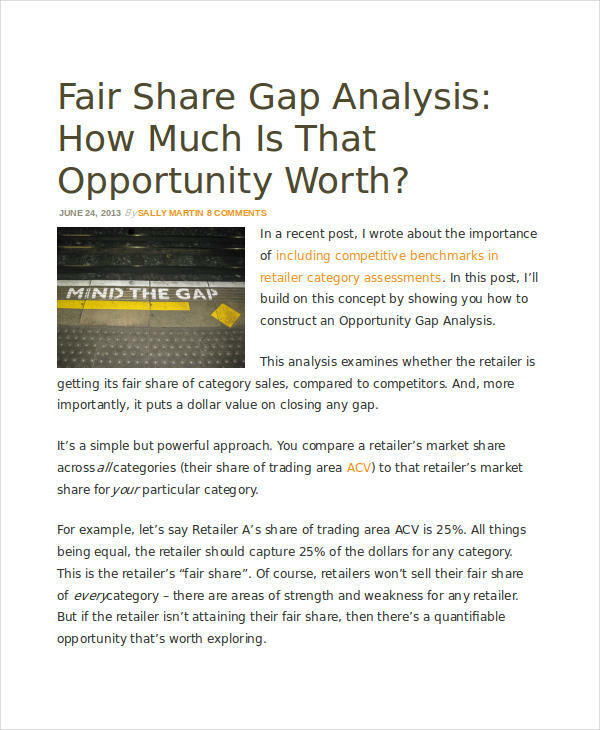 Alongside this discussion are the factors that the business needs to consider to ensure that the suggestions and recommendations, with the help of the gap analysis showcase, can be fully realized. You may also check out feasibility analysis examples & samples. 1. Use existing analysis examples in Word or in any other software as your references. 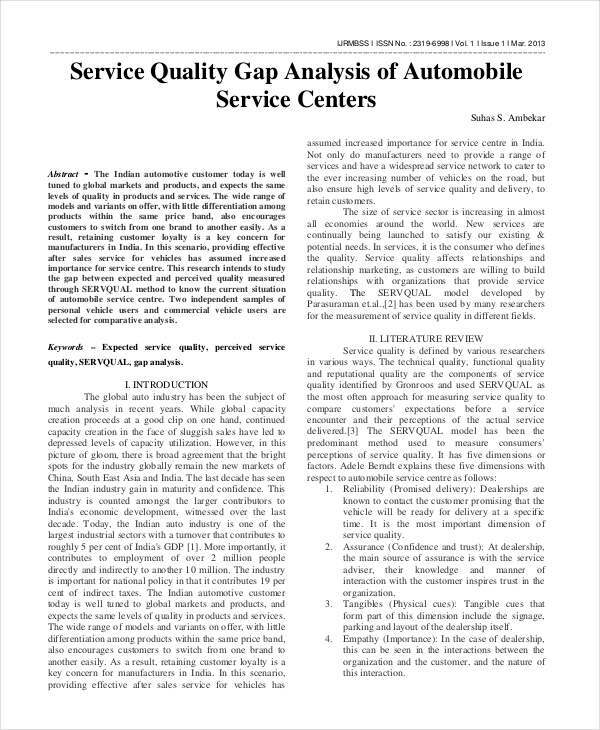 As long as the references that you will use are related to gap analysis, these can help you create a document that is guided by actual materials that have been proven to work in a variety of industries. 2. Make sure that you will understand the current condition of the business. These include the environment of the company and the kind of operations followed by the workforce. Gap analysis can work best if there is a precise understanding of the strengths and weaknesses of the company. 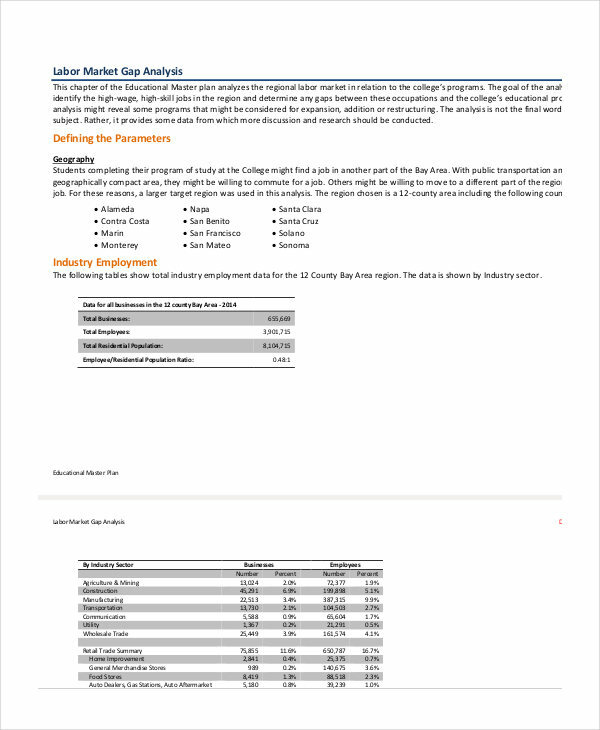 You may also see market analysis examples. 3. Be knowledgeable of other kinds of analysis aside from gap analysis. 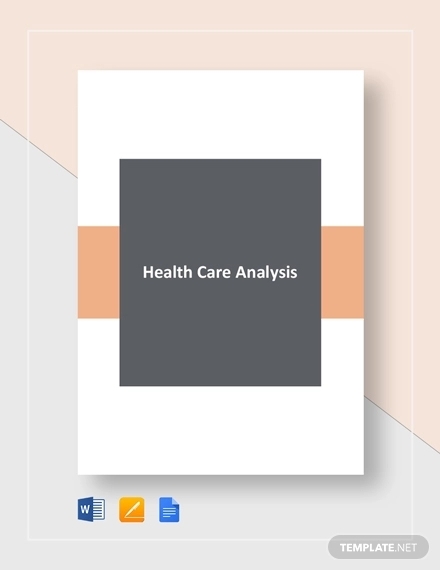 Knowing more information about the business and its operations will allow you to further understand the concept of gap analysis and its effective development. For one, being aware of the content of business analysis examples can make it easier for you to identify the factors that can affect your business’s performance for a particular time period. 4. 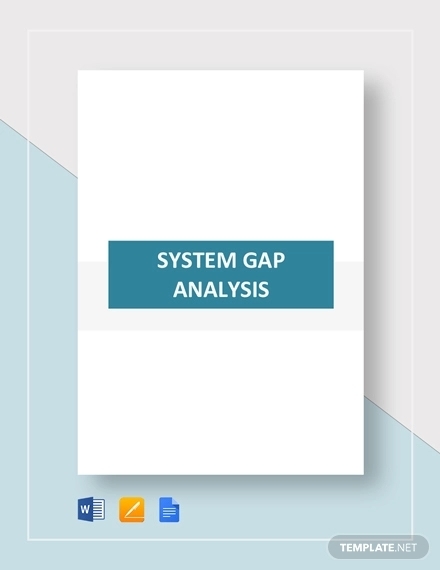 Ensure that your gap analysis is measurable and realistic. Making a biased and subjective gap analysis can only ruin the potential of the business to improve. It will be best if the company will accept the data showcased in the gap analysis so that proper metrics for development can be executed. You may also like regression analysis examples & samples. 5. 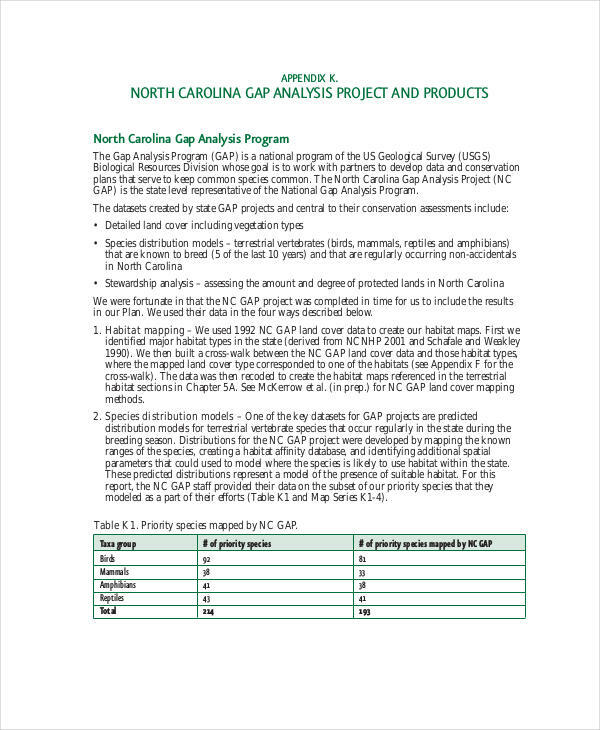 Always seek for professional help when making a gap analysis. Even if you can do it on your own, it will still be better if there is a professional or an expert who will look into the actual document. Through this, sound recommendations and suggestions can be given. You may also check out behavior analysis overview and examples. 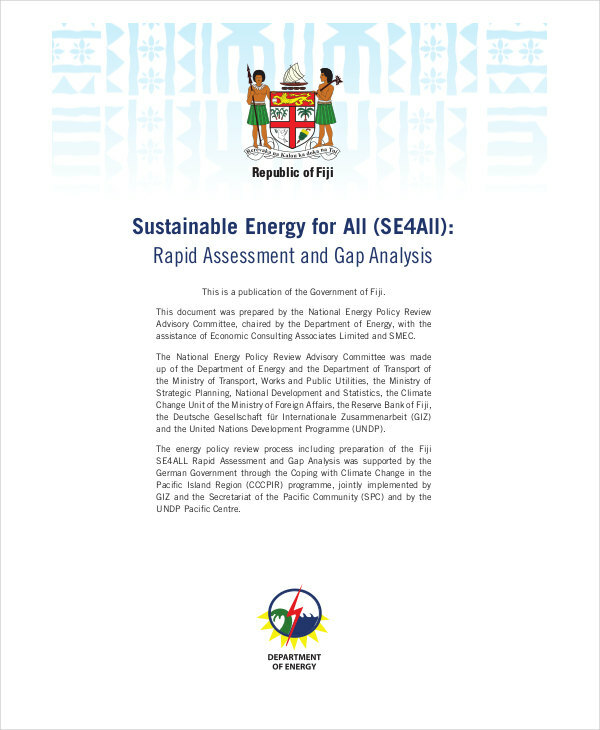 It is essential for gap analysis to be created as it allows businesses to be aware of their performance and how they use their available resources. If you want to grow as a corporate entity, you have to make sure that you will not only create a gap analysis but will also develop call to actions based on your assessment and findings. 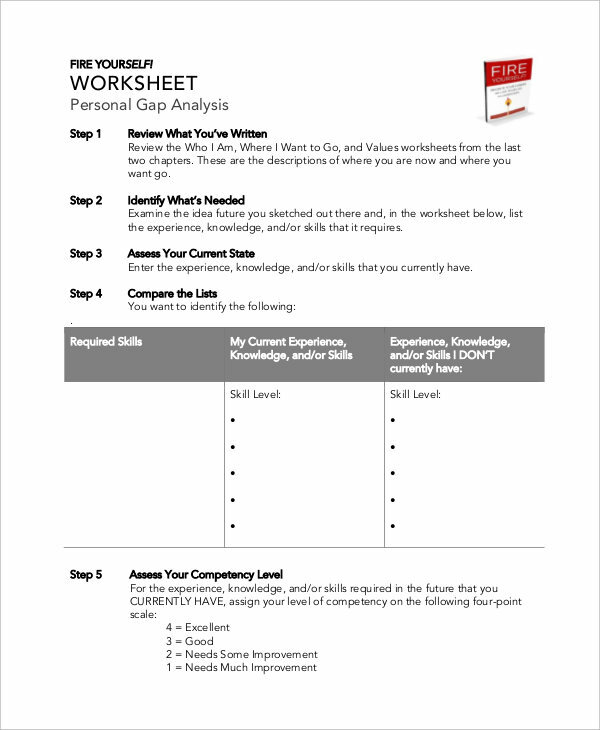 If you plan to create your company’s own gap analysis now, use our downloadable examples as well as the tips, suggestions, and guidelines that we have enumerated as your guides. You might be interested in cost benefit analysis examples & samples.